I hope everyone is having a good week. This week I was busy taking care of my furbaby. She had dental surgery at the beginning of the week and she is not quite back to herself. This reminded me of when my children were babies and they didn’t feel good and couldn’t tell mommy what hurt. I have to admit I do not miss those days. The days where you were so busy and going so many different directions that you had no choice but be the adult. As you get older, adulting doesn’t seem as hard for some reason. I do miss my kids being little and the wonders of seeing everything again through their eyes. 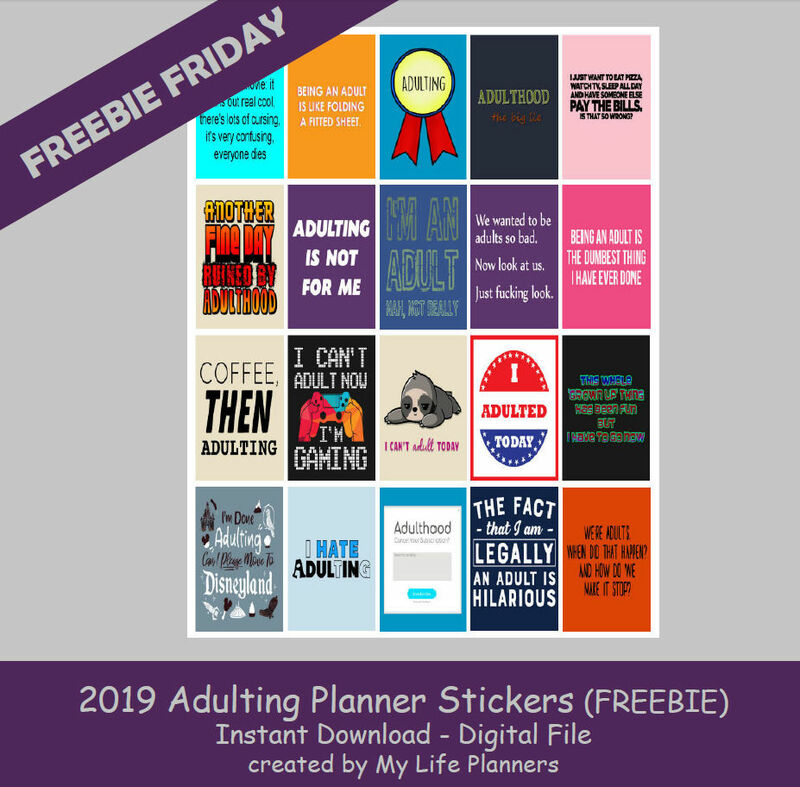 This week’s freebie Friday feature is Adulting. This is a popular topic so I try to add it into the mix each year. If you missed the last two year’s of Adulting Planner Quote Stickers you can revisit and download 2017 here and 2018 here.